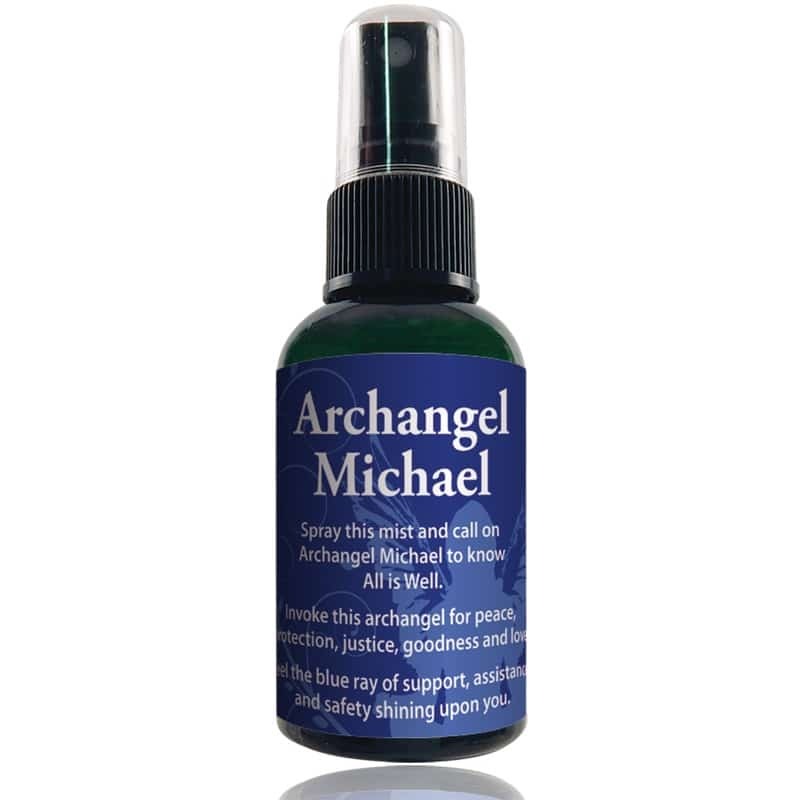 Archangel Michael Essential Oil Blend is also available neat in a 5 ml bottle. Ingredients: Water; Proprietary Blend of Medical Grade Essential Oils, Perfumes and Colognes; Holy Waters from around the world; Sacred Site Essences from around the world; Bach Flower Essences; Gemstone Tinctures. 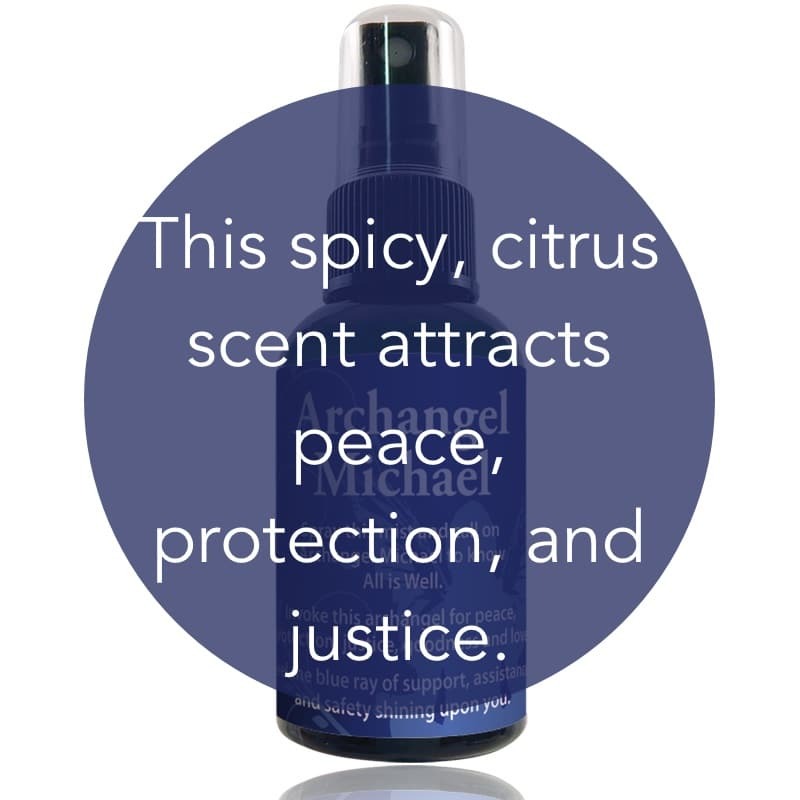 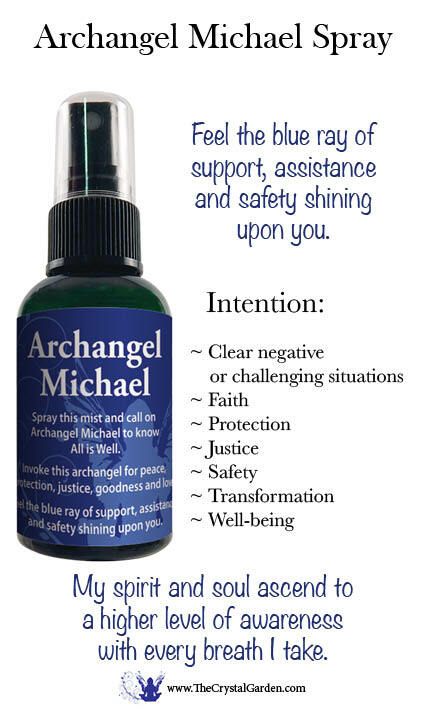 Spray with aroma-energetic mist to invoke Archangel Michael for peace, protection, justice, goodness and love.